Please come back January 2019 to register for our next educator workshop! 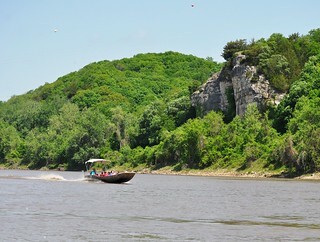 Connect with the natural and cultural history of the Missouri River through adventure and investigation. Discover the river ecosystems and the natural forces that shaped them. 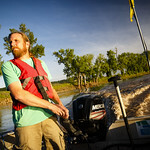 Understand how human choices have affected the river’s rhythm and flow. 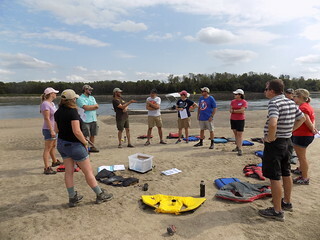 Knowledgeable and experienced instructors will show you how to use river education to integrate science, social studies, English language arts, and math in a way that engages students strengthens their learning and prepares them to be college-ready and career-ready. Watch a video on Omaha, NE KMTV News Channel highlighting a different aspect of this workshop in Omaha, Nebraska. 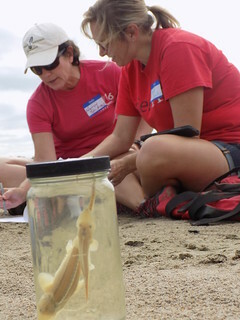 Read about the Omaha, NE educator workshop on our blog. View pictures of the Omaha, NE educator workshop on our Flick Account. Want to know what you might experience during the workshop? Download the workshop schedule. 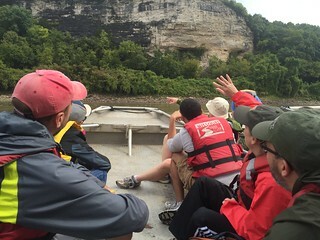 This schedule outlines the variety of activities and experiences that range from motorboat rides to developing a Missouri River lesson plan. This schedule could be subject to change due to weather and availability of resources during the program. You can also read about previous workshops here. Check out the information packet. This packet contains a schedule and general information. 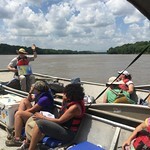 The Integrating the Missouri River in Your Classroom Educator Workshop is managed and instructed by Kristen. Her passion for environmental education that was ignited by a backcountry trail crew. An ever since this experience, she has dedicated the last 10 years of her life to a myriad of environmental education organizations. She received an MS in Natural Science Education from Teton Science Schools, a residential graduate program in Jackson Hole, WY. Afterwards, she developed Yellowstone Youth Corps Education Curriculum. A resource that has been downloaded over 15,000. 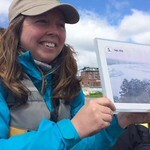 Recently, she completed the Better Environmental Education, Teaching, Learning & Expertise Sharing Leadership Institutes. Which engages program leaders in stimulating conversations, facilitate shared wisdom across a variety of programs, and models research-based resources for professional learning and student experiences. 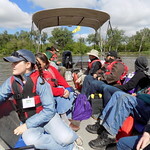 The Institute is open to all outdoor environmental education programs that use science as a lens for looking at nature. Read the full story and photo recap in our Rivernotes Blog. You will enjoy a taste of Kansas City, Missouri as we experience delicious, healthy lunches in and around the area. 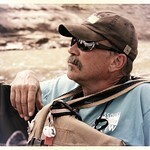 Lunch will take place on the river the first day and the second day will be at a local place or delivered. We will have snacks available throughout the day and we are happy to accommodate special needs. Breakfast and dinner will be on your own. 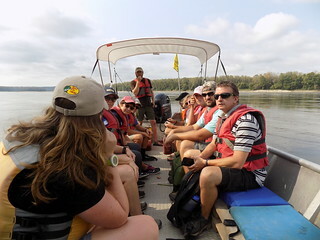 This program was developed and implemented in 2016-2017 by Missouri River Relief, a non-profit dedicated to connecting people to the Missouri River through hands-on, on-the-river clean-ups and education events, in partnership with the Missouri Environmental Education Association. 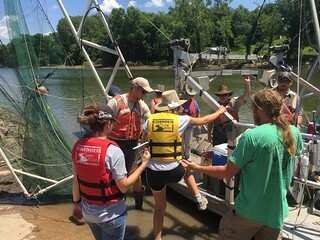 This program was developed in 2016-2017 with the support of the U.S. Environmental Protection Agency -Region 7. 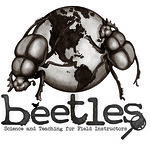 In 2018, we are planning on revamping this program to incorporate Better Environmental Education, Teaching, Learning & Expertise Sharing (BEETLES) practices that were gleaned at the December 2017 BEETLES Leadership Institutes.